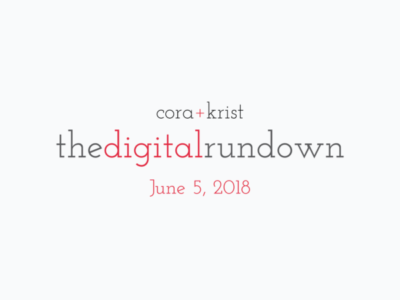 I’m excited to bring you another edition of The Digital Rundown. This new email series seeks to give you a glimpse into what is peaking our interest in the world of digital when it comes to marketing tactics, how to build your website and even technologies that help you run your day-to-day operations. 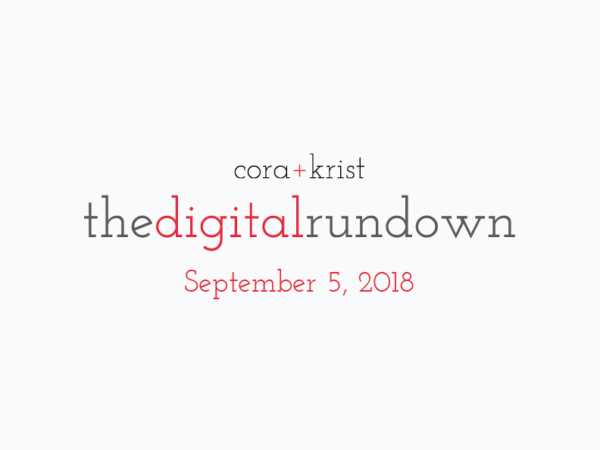 We’re passionate about the power of digital and hope that these highlights from around the world will inspire you to leap forward with new technologies, tactics, and techniques to drive your business goals in a more advanced digital way. In late June the Supreme Court issued a ruling in the case of Wayfair v. South Dakota. The result upended a standard for tax collection relating to e-commerce and laid out greater complexities for businesses looking to sell products across the country. Entrepreneur did a great job of outlining the main impacts that the ruling will have on businesses. We’ve all heard it before. Make an emotional reward to your consumers and they’ll keep coming back. But how do you do that? Well, there are many ways that work and choosing the right emotional rewards for your business objectives is not an easy task. We found an article over at Envato that outlines 4 tactics that have been successfuland are certainly worth a closer look. If you updated your WordPress install recently you may have noticed something. It’s Gutenberg and it’s a new interface for updating and editing your website. But what is it and how does it work? Take a peek under the hood at the WordPress website. If you know us at all, you know that we are passionate about accessibility in this world, and that goes for websites too. There are many simple things you can do to make your site user-friendly to people of all abilities and special needs. WPKUBE summed many of them up pretty well recently. SECURITY ALERT! Did you forget to install that SSL certificate on your website? Your site may now be flagged by Google Chrome. The Verge discusses how the browser now alerts users when a website isn’t secure (that is displaying that HTTPS:// before the URL). If you haven’t made this upgrade, it’s time to get on it. Email marketing is by far one of the most cost-effective tactics you can deploy, but it comes with challenges when trying to get your message to land in the inbox of your recipient. What gets you labeled as spam by Outlook puts you in the Inbox with Gmail. So what do you do? Smashing Magazine took a look at an alternative approach, transaction emails, where deploying automations and sending highly relevant communications can help you get above the noise. If you are struggling to manage all of your social profiles and feel that you are falling behind in maintaining these channels, there is hope. WP The Pod took a look at three tools they recommend. So go get control of your social accounts, and if you are completely overwhelmed, reach out. We love the chaos of social media and would be happy to help you out. If you use third-party tools to publish content to your social media channel, and that channel happens to be a personal profile you may have noticed a hiccup. Facebook is no longer allowing this in the name of privacy protection. Although, pages and business profiles are not affected. Amazingly, responsive web design is still playing second fiddle with a large number of websites out there not quite hitting the usability targets. This is bad for SEO and may be resulting in fewer potential customers. Torque looked at 5 ways responsive web design is benefitting your SEO strategy. If you think you don’t have to be mobile friendly, we think you need to read this one. Sometimes optimizing for SEO is as simple as a few easy steps you can take every day when developing website copy and articles. Torque looked at some of those elements that create great site experiences and also support your SEO efforts. New research is showing that your Google Reviews are indeed having an impact on where you rank in search results. Think you can get by without focusing on this? Think again. More and more we are finding that a solid public relations strategy is critical to driving the backlink profile necessary to effectively rank in search engine results. Further, nothing says credibility like a few well-placed articles about your business or featuring your team as thought-leaders in your space. We have a bit of a secret weapon at our disposal through one of our partners, but if you aren’t convinced, maybe you should check this article out from Equities. Ever feel like your boss might be a bit out of touch? Could it be that they could be a robot? Crazy right! Well, according to a study by Oracle and Future Workplace published by Fast Company, 93% of workers would welcome taking orders from a robot. Who knew! We’re really into all things digital, and we like to share that passion with you. Sign up to receive updates on our recent posts to the Digital Journal, our Digital Rundown, and more.